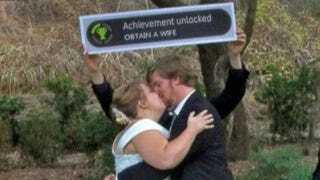 There are nerd weddings, then there are nerd weddings. This one is obviously the latter. We can only hope that the MC thought to play the sound when their lips locked.